The recipe only makes an 8-inch square cake, perfect for a small family like mine to enjoy over the weekend. 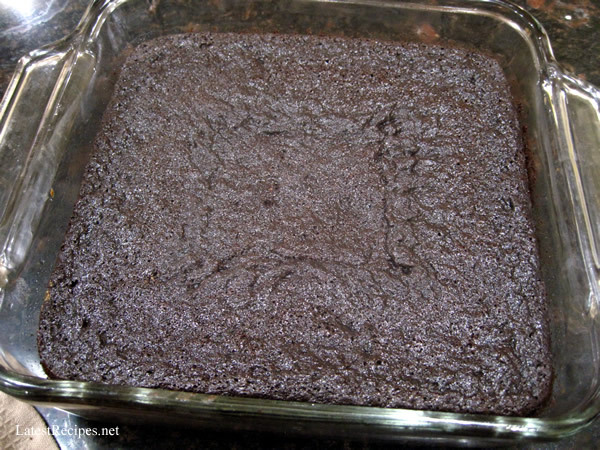 In a large bowl whisk together the sugar, flour, cocoa powder, baking powder, baking soda, and salt and chia seeds if using. Set aside. Remove from oven and let cool on a wire rack. When completely cooled, frost with ganache. Ganache: Put grated chocolate and coffee powder if using in a bowl; set aside. Heat cream in a saucepan just until it begins to boil, immediately pour heated cream to the chocolate. Stir until smooth. Cool a bit then pour on top of cooled cake. 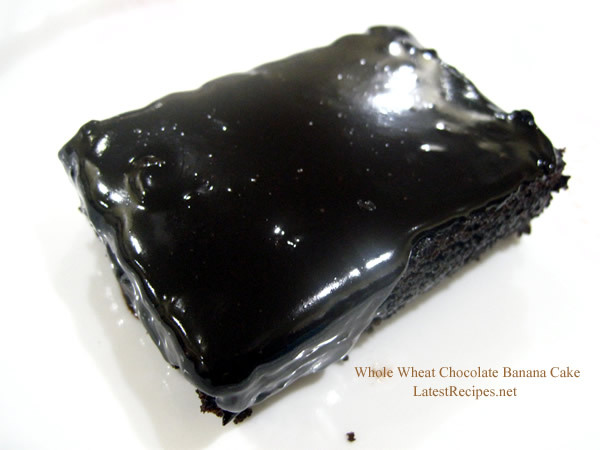 One Response to "Whole wheat chocolate banana Cake"
That looks like the richest, darkest chocolate! !